The School of Open Learning(SOL) The 1st and 3rd-semester exams will be held Nov/Dec and the 2nd and 4th semester will be held on Nov/Dec by the University of Delhi. For BA Hons(English & Political Science) and B.com Hons, the exam will be conducted at the end of the academic year. The exams will conduct in May/June along with MA and MCOM even semester exams. 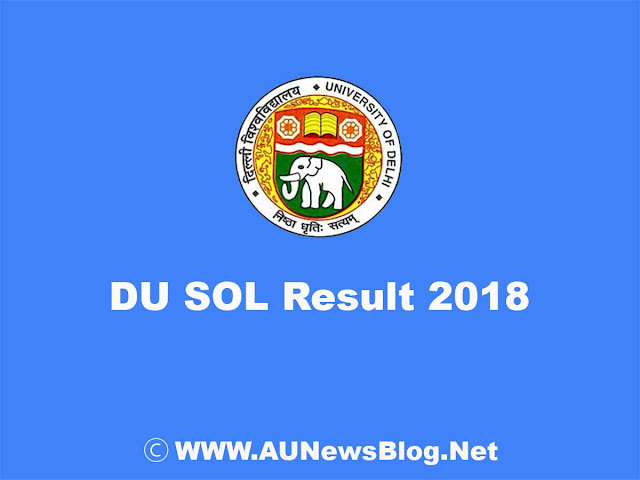 SOL DU results from 2017-2018 to be declared is the Nov/Dec Exams. In March Month, the results will be released on 1st and 3rd semester. The results of the May/June Exam for 1st, 2nd, 3rd year BA, Bcom, MA, and MCOM results will be released in August Month. Candidates can take and keep the printout of the mark/scorecard for the future use because the same will not available later. For Revaluation, the SOL Statement of the mark can be used. In the homepage or sol.du.ac.in to check the results of part1,2 and 3. The candidate who is applying for the revaluation should apply the form and submit within 2 weeks from the date of SOL DU Exam result 2018.Visit the official site for exam date sheet, marksheet, demand letter, admit card, and all other exam details will be available.